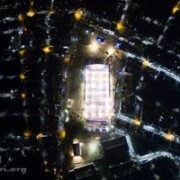 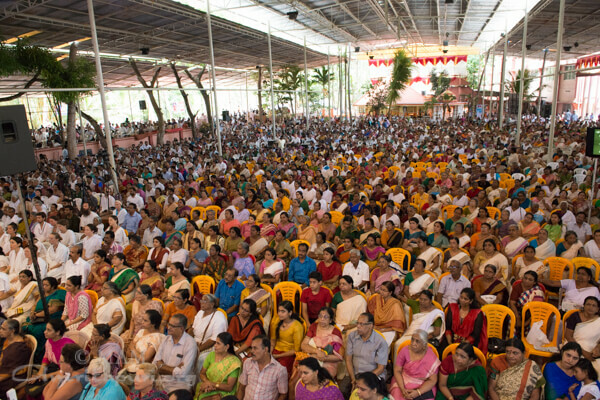 For the final stop on the 2nd leg of Bharata Yatra, Amma held a two day Brahmasthanam festival in Thiruvananthapuram. 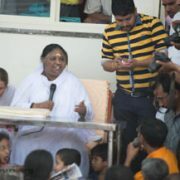 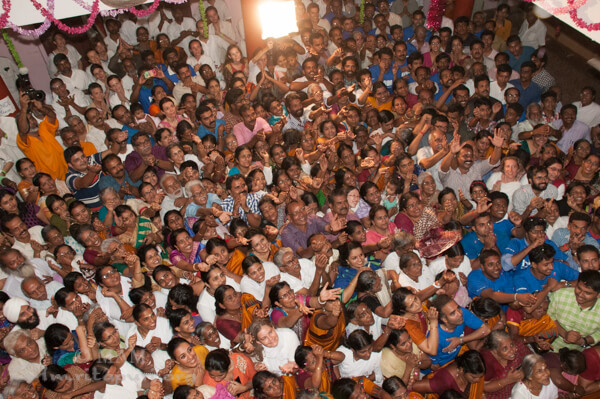 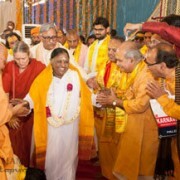 Upon her arrival from Kanyakumari, Amma led everyone in meditation, sang bhajans and served dinner prasad. 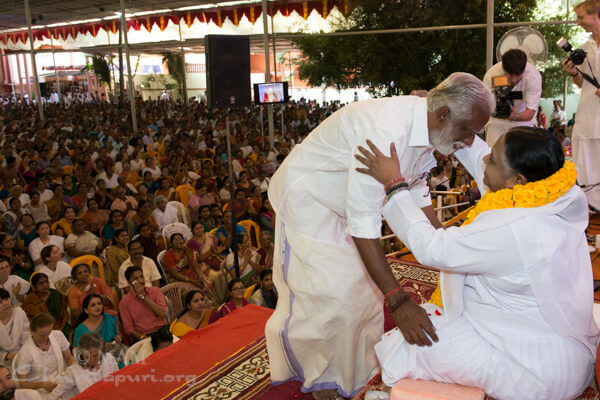 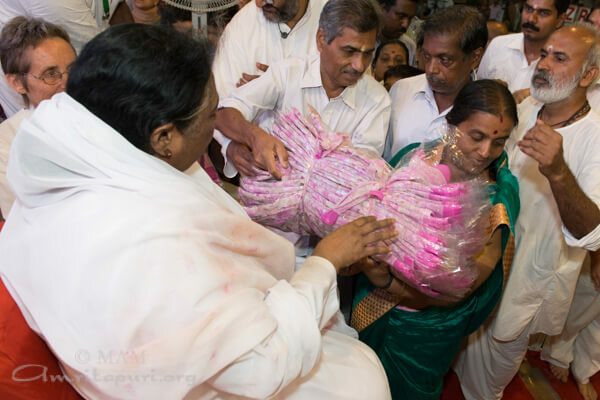 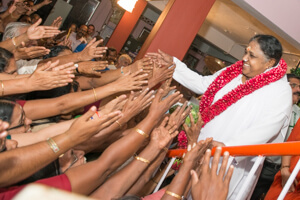 During darshan, Amma gave away 1500 sarees to AmritaSree self help group members in and around the local area. 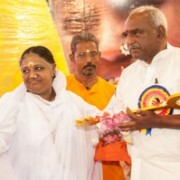 Local Amrita Vidyalayam students presented different cultural programs. 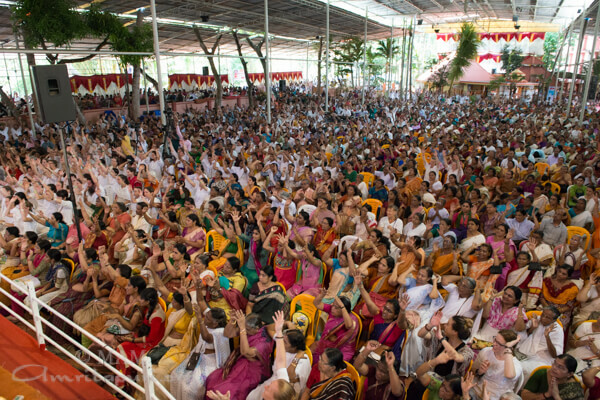 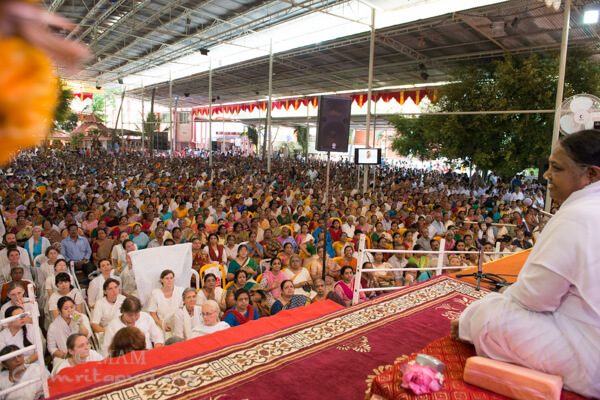 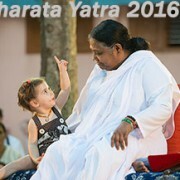 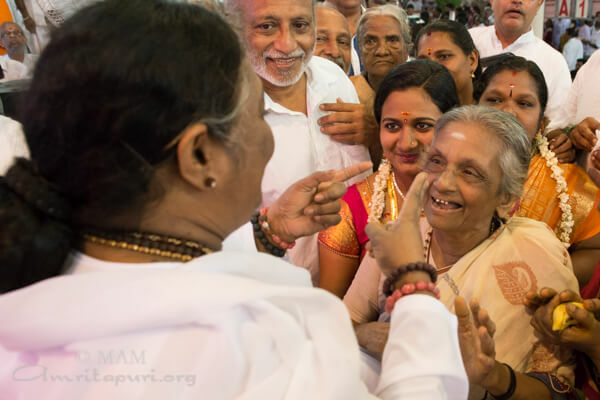 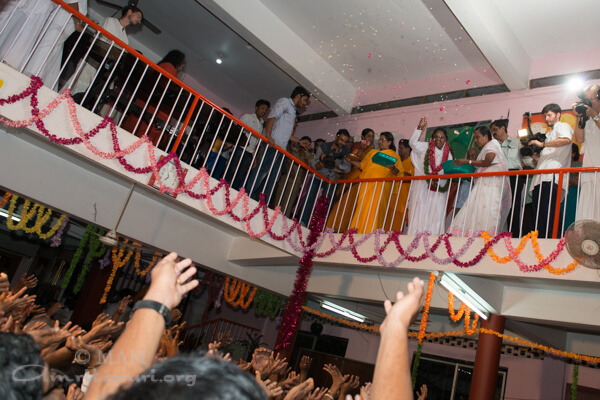 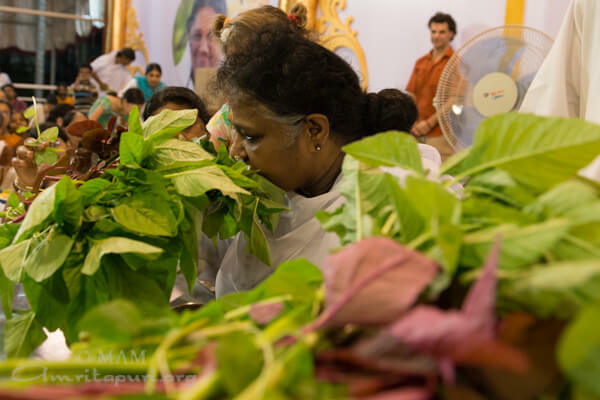 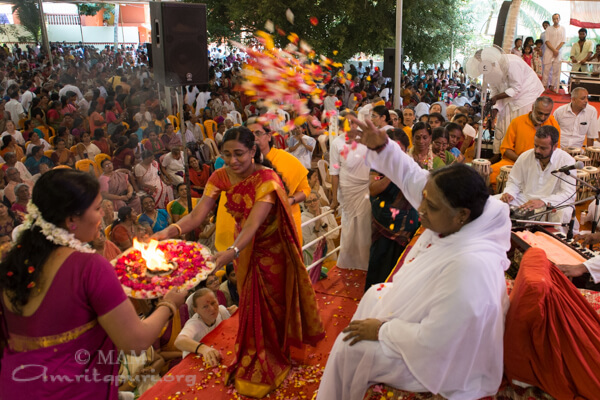 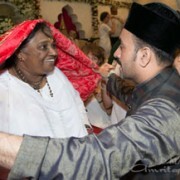 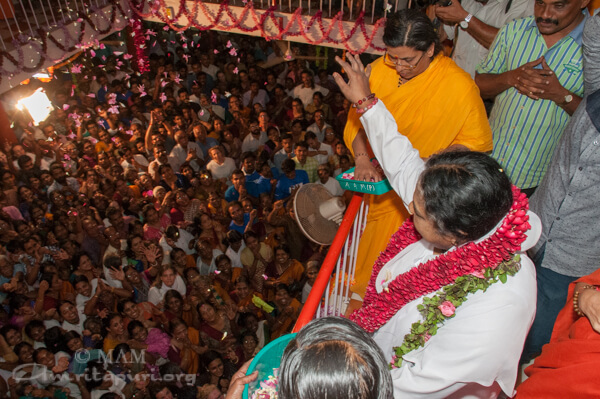 Amma concluded the two days of programs by singing “Aya He Sara Jaha Yaham” at the end of darshan. 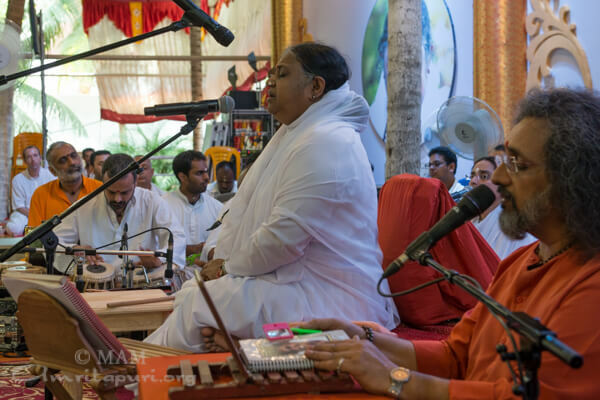 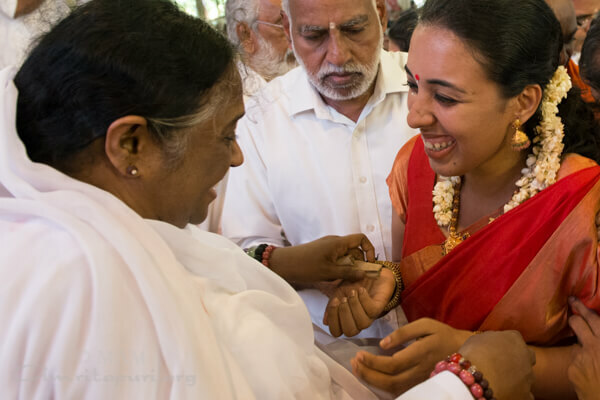 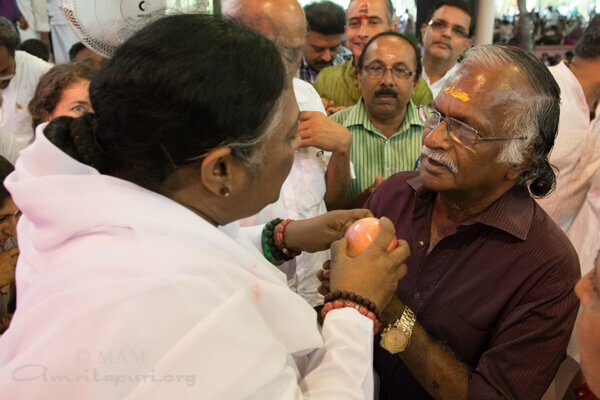 Everyone then travelled back to Amritapuri to conclude this portion of the 2016 Bharata Yatra.